I find myself in London ahead of one of the biggest events of the quarter - Rihanna at Wembley! Just kidding, it's Thursday's Brexit vote that takes centre stage. 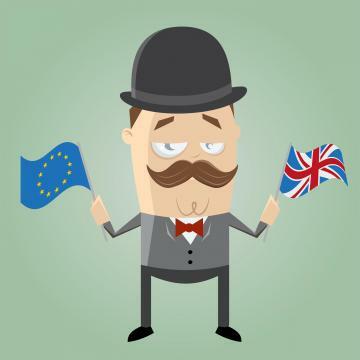 Investors seemed to have rediscovered their risk-on appetite yesterday, out of safe havens and back into risky assets across the board, as the Remain campaign seems to be marginally leading in recent voting polls. Volatility around the vote has been expected and for many, the polls have been too unreliable to justify rational risk-reward position trade-offs. Speculative investors will most likely continue to be amongst the busiest in the week ahead, with derivative markets more than likely active in terms of long/short positions on the UK pound and government bond yields alike. It is known that a Yes vote will widen UK Investment grade as well as high yield bond spreads and a No vote will have the opposite effect. For the risk-averse investor as mentioned more than once this quarter, options are limited other than waiting for the seas to calm. Let’s, therefore, shift to the other side of the globe. There is a glimmer of hope in the default scenario of Venezuela as talks are ongoing with China, the main creditor of the South American nation, to negotiate an extension deal for most outstanding debt maturities, whose bond levels are trading at distressed levels well below 50 per cent of par. An agreement would certainly alleviate default fears in the oil-rich nation, whose exports are 95% reliant on the commodity. Furthermore, a pick-up in oil prices, above the 80% increase seen since February would more than certainly help benefit the nation in controlling its hyper-inflationary environment through the generation of funds for the importation of inflated basic need products. Although optimism on oil price improvements is a good sign, the actions of increasing oil rigs too soon, as confirmed over the past week in the US, may undermine further price rebounds by adding to already plentiful reserves. The cautious action for the most part of energy operating entities would be to hold off further drilling or production at least until sustainable price levels are reached to satisfy normal operating activities. The weak global demand has unfortunately been the trigger of most market volatility and with no signs of any imminent pickup, policies are going to have to be carefully implemented in a manner beneficial to growth. Unfortunately, we live in an era of political hostility in which politicians often fail to mutually agree on the right actions out of pride for their respective political party beliefs. We shall hope that such a scenario will not be the case in the ongoing China talks with both Venezuelan political parties as well as In the UK House of chambers should a Brexit vote go through. One thing is certain, hearing Rihanna’s hit tune ‘Stay’ on Friday won’t be enough should a Brexit vote go through. If that were to happen, political unity would have to be at the forefront of any ensuing crisis to hit the sterling and sterling-denominated assets if the UK is to maintain its global status as an economic powerhouse. Disclaimer: This article was issued by Mathieu Ganado, Junior Investment Manager at Calamatta Cuschieri. For more information visit, www.cc.com.mt .The information, views and opinions provided in this article are being provided solely for educational and informational purposes and should not be construed as investment advice, advice concerning particular investments or investment decisions, or tax or legal advice. Calamatta Cuschieri & Co. Ltd has not verified and consequently neither warrants the accuracy nor the veracity of any information, views or opinions appearing on this website.